‘Tis the season for some baking…Fa la la la la la la la la! Yes, I will admit that I absolutely love holiday baking – both making it and eating it – but it’s nice to find a delicious no-bake recipe that requires little effort. 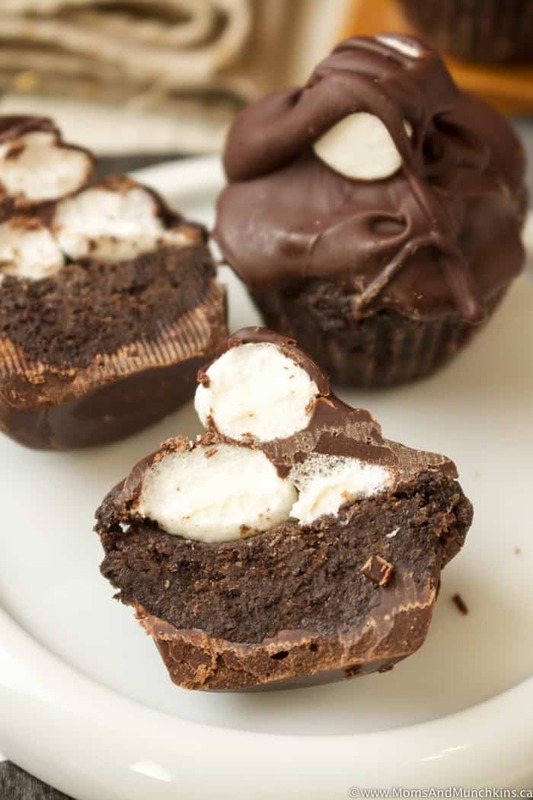 These Hot Cocoa Truffle Cups couldn’t be any easier to make. These are perfect for holiday baking exchanges but be sure to make extras for taste testing…LOTS of taste testing! Don’t worry, the gym will still be waiting for you on January 1st after all the deliciousness that December brings. These truffle cups are made with the limited edition Hot Cocoa Oreos but if you can’t find those, regular Oreos would be just as delicious. Line a 24-tin mini muffin tin with paper liners. Using a food processor, finely crush all 21 Oreo cookies. If you don’t have a food processor, you can place the Oreos in a sealable food storage bag and use a rolling pin to crush them. Place crushed Oreos into a medium-sized bowl and add cream cheese. Stir until well combined. Place chocolate chips in a microwave safe bowl and heat in the microwave on 30-second intervals (removing from microwave and stirring after each 30 seconds) just until melted. 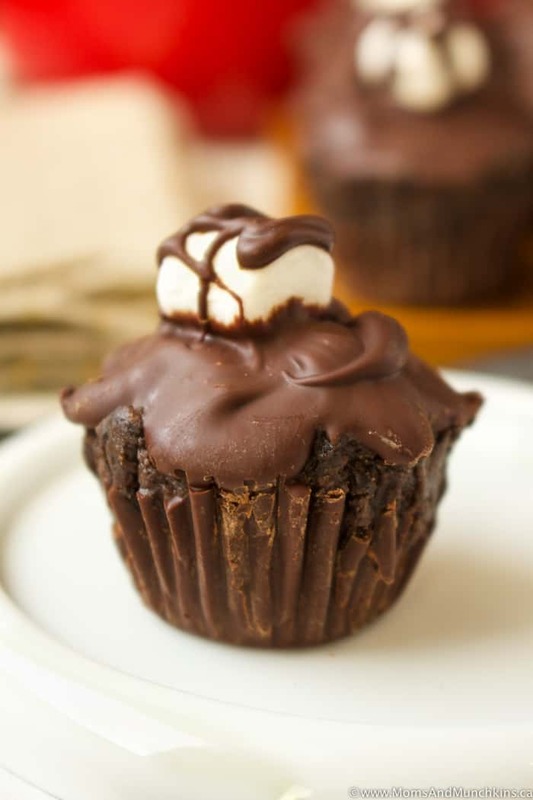 Fill each muffin cup about ¼ of the way full with melted chocolate. Scoop Oreo mixture into about 1-teaspoon size balls, slightly flatten them with your hands and place one Oreo ball into each muffin cup. 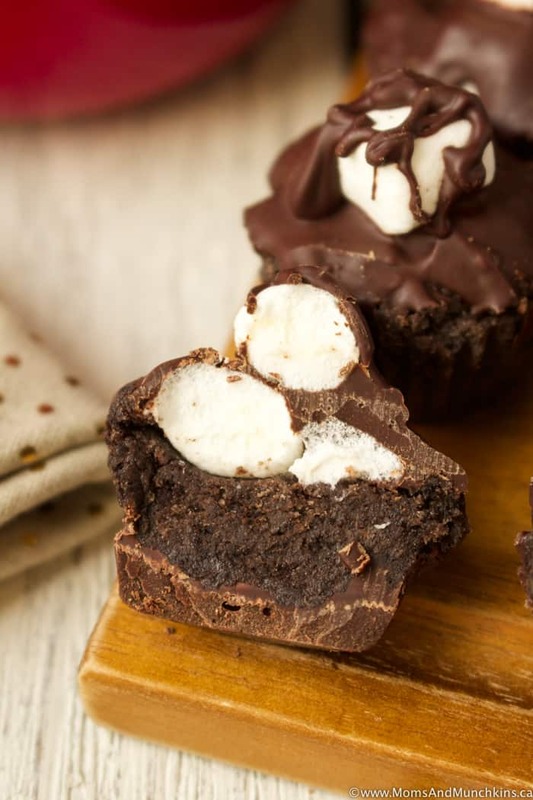 Place two mini marshmallows on the top of each truffle then top each truffle with melted chocolate (making sure the entire top is covered with chocolate but try not to overflow the chocolate out of the muffin wrapper). 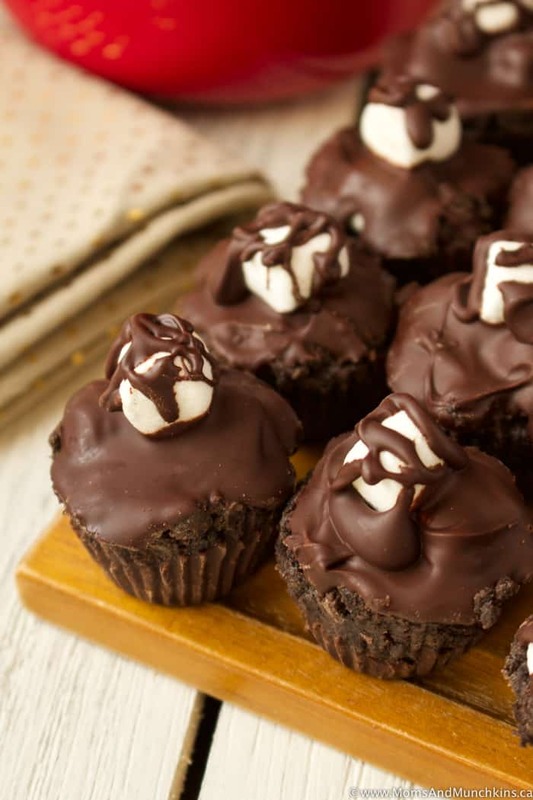 Once each truffle is topped with melted chocolate, place one mini marshmallow on the top of each and drizzle with the remaining melted chocolate. Place these in fridge until chocolate has completely hardened. Once chocolate has completely hardened, remove muffin wrapper from each. Store these in a food storage bag in the fridge. 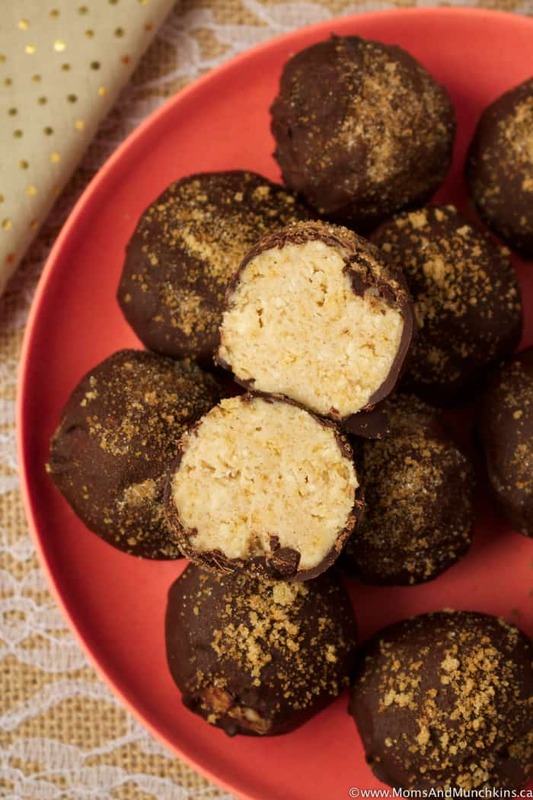 Cinnamon Bun Truffles – like a delicious cinnamon bun with icing dipped in chocolate. 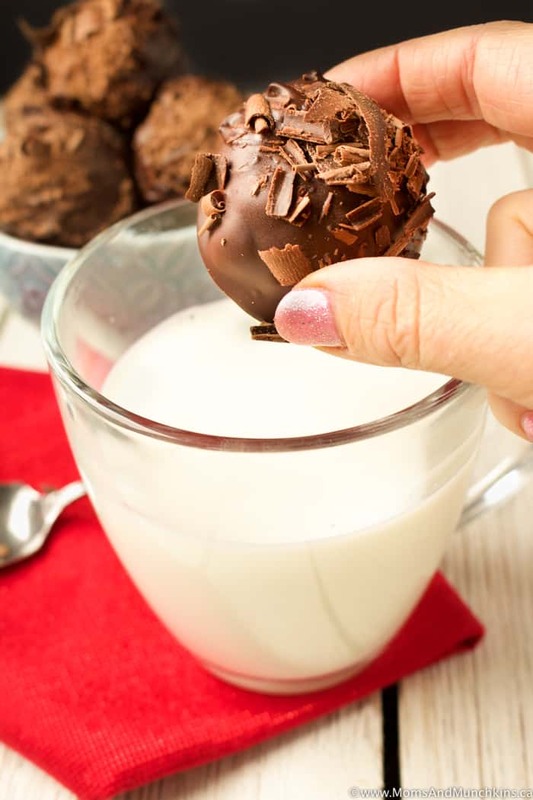 Hot Chocolate Truffles – drop these in a glass of hot milk to make a rich hot chocolate beverage! Visit our Recipes page for even more delicious treat ideas. Stay updated on the latest by following us on Facebook, Pinterest, Twitter and Instagram.